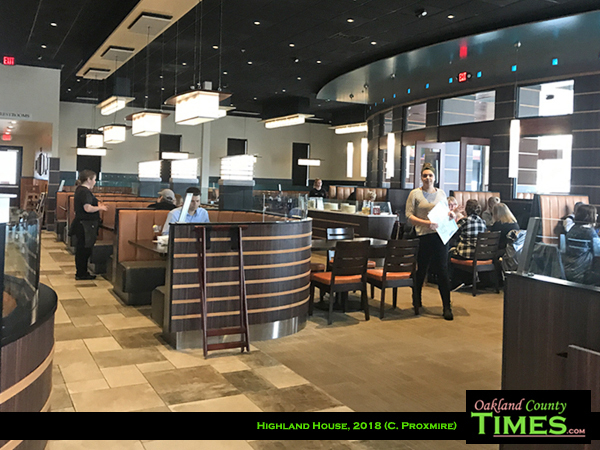 Highland, MI-Highland House has been a community staple since it opened in 1976. 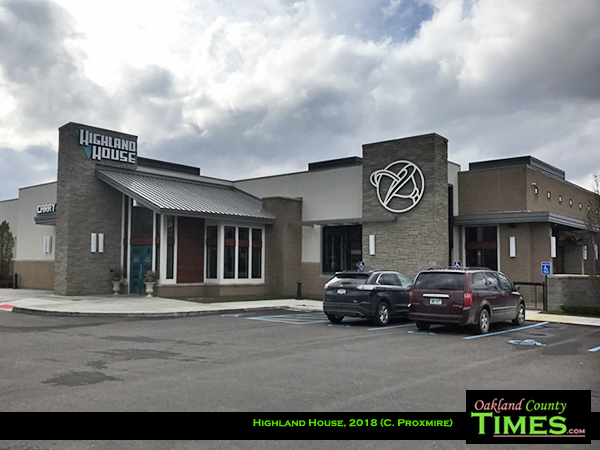 Earlier this year Highland House Restaurant opened in a brand new building next to their former location, which has since been torn down. Recently I made my first, but certainly not last, visit. To begin with, the layout of Highland House is just great. The booths in the front of the restaurant are set along a curve in a way that lets people feel like part of the crowd or tuck away easily for more quiet conversation (or writing). Everything is bright, open and comfortably modern. The food was also great. 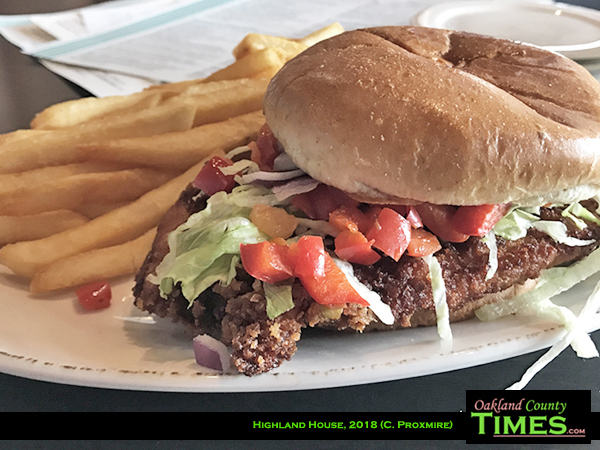 I ordered the breaded pork tenderloin sandwich which came fried on a brichoe bun with a mild pepper relish, stone ground mustard, lettuce and red onion. I haven’t really had anything like this. The breading was crispy and delicious. The toppings gave just the right amount of flavor and texture to balance out the slight greasiness of the meat. Plus it’s always fun to order a sandwich where the meat is bigger than the bun as opposed to being buried in it. 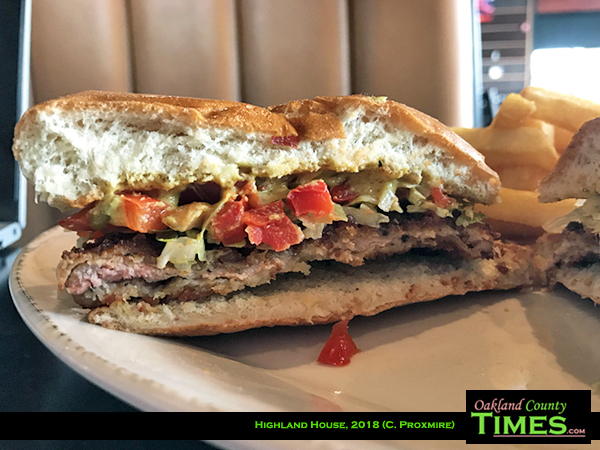 Other sandwich options include the HH cheese steak, rotisserie turkey, spicy fried chicken, burgers, fish tacos and more. There are also salads, pizzas, pasta dishes and other entrees like liver and onions, planked whitefish and ribs. Highland House is located at 2630 E. Highland Road. Check out more at www.thehighlandhouse.net.